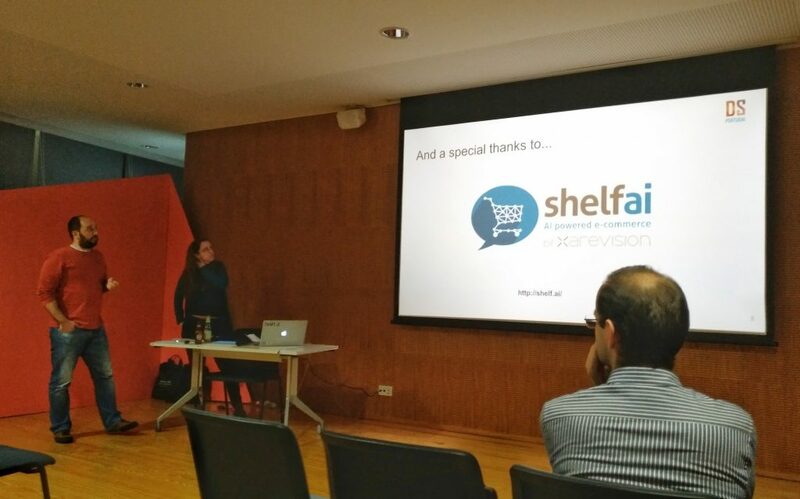 On Tuesday, February 21st, Shelf.AI was a proud sponsor of a meetup on data science. The meetup included two talks and extended time for networking among over 70 engaged participants interested in Data Science, Machine Learning and Big Data. The talks were “Deep Learning: Variations on the Theme and Current Trends” by Jaime Cardoso, Associate Professor at FEUP and Lead at INESC, and “Data Science in the wild: the good, the bad and (mostly) the ugly” by Luís Sarmento, former Applied Scientist – Voice and Advanced Shopping, at Amazon. Although very different in nature, both were extremely interesting and useful for all participants. This meetup was organized by Data Science Portugal, an informal group of data scientists, and took place at UPTEC, the University of Porto’s startup incubator. In the near future, more meetups will come in Porto, Aveiro and Braga, approximately on a monthly basis. Shelf.AI looks forward to supporting this kind of initiatives so if you know, or are engaged in, events on data science, do get in touch with us!